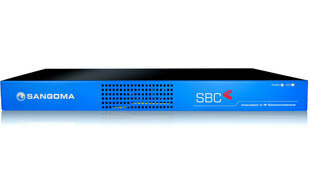 The Vega SBC for SMB (Mini SBC) Appliance can manage between 5 to 20 simultaneous sessions. The Vega Enterprise SBC Appliance can manage up to 500 simultaneous sessions. The Vega Enterprise SBC VM/Software can manage up to 200 simultaneous sessions with all the flexibility you would expect from a VM Ready solution. 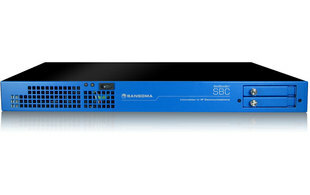 The Vega Enterprise SBC VM/Hybrid is a unique Sangoma solution that delivers the benefits of a VM solution, with the same scalability of large hardware solutions. The Hybrid SBC can scale to manage 4000 sessions in a single VM instance. 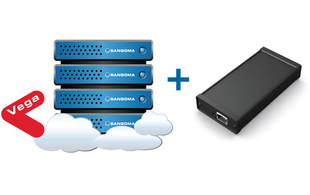 The NetBorder Carrier SBC can scale up to 4000 sessions in a single chassis. This carrier grade appliance also features dual AC or DC power and RAID-1 Solid State Drive. Below is a range of the models available. 1 Session = 1 Call. The maximum number of sessions for the SBC for SMB deployment option is 20. The maximum number of sessions for the Netborder SBC Carrier deployment option is 4000. The maximum number of sessions for the Enterprise SBC VM/Hybrid deployment option is 500. The maximum number of sessions for the Enterprise SBC VM/Software deployment option is 500. The maximum number of sessions for the Enterprise SBC deployment option is 250. Lync can be deployed alongside an existing PBX or IP-PBX to deliver UC functionality with a minimum of disruption to on-going business operations. By leveraging functions of the existing system (Dial Plan, Voice Mail, Automated Attendant, IVR) and using Lync to provide UC functions such as presence, screen sharing and instant messaging, the benefits of UC can be utilised while still allowing staff to follow familiar and efficient practices through use of their existing telephone system. The development of VoIP technology has enabled a range of new services that were previously not cost-effective or even practical using the legacy Public Switched Telephone Network (PSTN). The VoIP service provider supplies SIP trunks and cost-effective virtual PBX services using a large, robust and redundant platform. 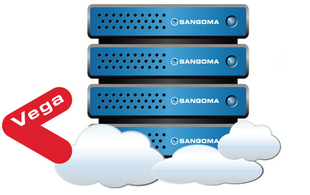 The client gets all the advantages of a PBX without the need to install, maintain or manage the PBX system. Connectivity between each branch office and the central IP-PBX is achieved through the internet without the complications and expense of managing VPN connections or each trunk. In the past few years, SIP Trunking has become one of the hottest topics in IP Communications. At the same time, Microsoft Lync has been driving a high level of activity in the Unified Communications Space. With the release of Lync 2013, these two topics have converged, as Lync 2013 now has native support for SIP Trunks. Carriers offering SIP trunking services must provide a secure environment that their customers can trust, especially when these services are delivered over the internet. Carriers also aim to reduce or eliminate interoperability difficulties between their equipment and that of their clients. Our lower Density SIP Gateways are the only ones in their price class that deliver great voice quality, ease of configuration and failover/fallback features. Standard 12 month warranty included. Additional warranty services are available.